I’m leery of even writing about this. I worry there is no way to write about it without being misunderstood or misrepresented. Yet, if this doesn’t get talked about, there is no way folks will understand. This is a warning to Christians of all ages and all places. It is a call to make sure we keep the main thing the main thing. It is not a warning against something that is a sin all by itself. Rather it is a warning that our enemy is taking what can be a good thing when kept in its proper place and trying to supplant the best thing. I hope I can remotely do this topic justice. 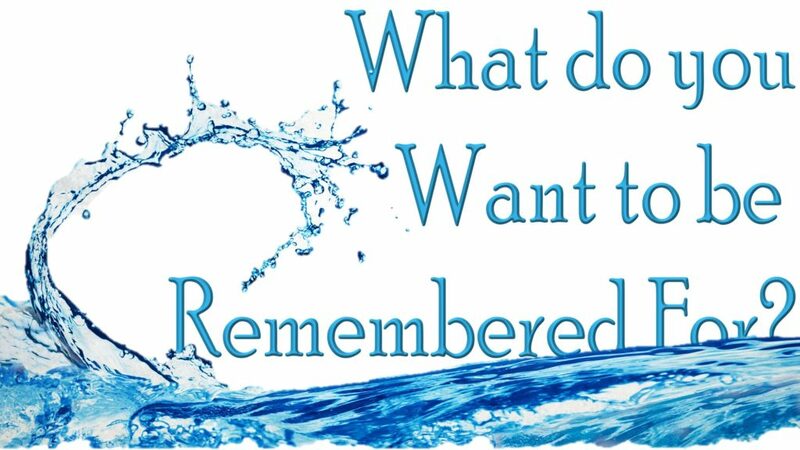 [Read more…] about What Do You Want to Be Remembered For?